Today being Valentine's day, I thought it would be most appropriate to release the list of the Top 10 best love songs of all time. These love songs are some of the biggest hits of all time. Not surprisingly, big voiced pop Divas such as Whitney Houston, Mariah Carey, Celine Dion and Barbara Streisand are all on this list that have recorded these pop standards. All of the songs listed have hit #1 on the Billboard 100 charts. "Woman in Love" is performed by Barbra Streisand and taken from her 1980 album, Guilty. The song was written by Barry and Robin Gibb of the Bee Gees. "Woman in Love", as the lead single, became one of the most successful songs of Streisand's music career. It spent a total of 3 weeks at the number-one position on the Billboard Hot 100 chart, Streisand's fifth (and last to date) number one on this chart. It also spent five weeks atop the adult contemporary chart, her sixth number one on that tally. The song also proved very popular internationally, reaching number one in many countries, including the United Kingdom. "I Just Called to Say I Love You" is a song, produced, written and performed by Stevie Wonder. It was one of Wonder's most commercially successful singles. The song was first featured in the 1984 comedy “The Woman in Red”, along with two other songs by Wonder, and scored number one on the Billboard Hot 100 for 3 weeks from October 13, 1984, and also became Wonder's only solo UK number-one success, staying at the top for six weeks. "Nothing Compares 2 U" is a song by Irish recording artist Sinéad O'Connor, released as the second single from her second studio album, I Do Not Want What I Haven't Got. It was written by Prince for one of his side-projects, The Family. However, it wasn't until O'Connor recorded and produced the version along with Nellee Hooper when it became a worldwide hit. An iconic music video was shot and received heavy rotation on MTV. This son spent 4 weeks atop the Billboard Hot 100, in addition it was a number-one in Billboard Alternative Songs chart. Gunther Mende, Candy DeRouge, Jennifer Rush and Mary Susan Applegate wrote this song. "The Power of Love " is the second single from Céline Dion's 1993 album, The Color of My Love. It topped the Billboard Hot 100 for 4 weeks, the first Céline Dion single to do so. Originally recorded by Jennifer Rush (#1 in UK for 5 weeks), it has also been recorded by many other artists such as Laura Branigan, Air Supply, and translated into several languages, becoming a pop standard. "(Everything I Do) I Do It for You" is a power ballad performed by Bryan Adams and co-written with Michael Kamen and Robert John "Mutt" Lange, featured on the soundtrack album from the 1991 film Robin Hood: Prince of Thieves and on Adams' album “Waking Up the Neighbors.” It was an enormous chart success internationally, particularly in the United Kingdom, where it spent 17 consecutive weeks at number one on the UK Singles Chart (the longest in British chart history), 7 weeks at number one on the Billboard Hot 100 in the United States, and nine weeks atop the RPM singles chart in Canada. It was a number one hit on several charts, making it Bryan Adams' most successful song. "Endless Love" is a song written by Lionel Richie and originally recorded as a duet between Richie and fellow soul singer Diana Ross, used in the movie of the same title. Billboard has named it the greatest song duet of all time. This song became the biggest-selling single of Diana Ross' career, topping the Billboard Hot 100 charts for 9 weeks. The song was nominated for an Academy Award for Best Original Song for Richie, and was the second song with which Ross was involved that was nominated for an Oscar. It also won a 1982 American Music Award for Favorite Pop/Rock Single. "You Light Up My Life" is a ballad written by Joe Brooks, and originally recorded by Kasey Cisyk for the soundtrack to the film of the same name. Debby Boone, was recruited to record the single, which became a massive success, topping the Billboard Hot 100 chart for a record-setting ten consecutive weeks (at that time). It easily became the most successful single of the 1970s in the United States, and set a new Hot 100 record for longest reign at No.1 (at that time). This song is a multi-way co-write by Mariah Carey, Jermaine Dupri, Manuel Seal, Johntá Austin, Kenneth Edmonds, Darnell Bristol, Bobby Womack, Patrick Moten, Sandra Sully. This became Mariah Carey second most successful song in her career so far. Billboard listed it as the "song of the decade" and the ninth most popular song of all time. Besides its chart success, the song broke several airplay records. 1994 number-one hit single by R&B group Boyz II Men for the Motown label. The song, which was written by Babyface, was the lead single from their second album II. The single spent 14 weeks at the top of the U.S. Billboard Hot 100. The song ties “I Will Always Love You” by Whitney Houston and “We Belong Together” by Mariah Carey as the song that spent the second most weeks at number one on the Billboard Hot 100 charts. Originally written by Dolly Parton, released in November 3, 1992, the single spent 14 weeks at the top of the U.S. 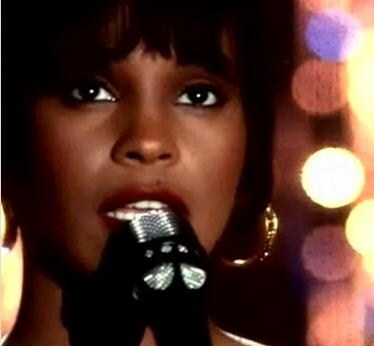 Billboard Hot 100, which at the time was a record, recorded by the late great pop diva, Whitney Houston, used in the movie “The Bodyguard”, this is Whitney Houston most successful song in her career. This song ties with “I'll Make Love to You” Boyz II Men and “We Belong Together” by Mariah Carey as the song that spent the second most weeks at number one on the Billboard Hot 100 charts, behind Carey's 1995 collaboration with Boyz II Men, "One Sweet Day" (which spent 15 weeks at number 1). Do you think any other love songs should be on the list? Please write your comments below, we would love to hear from you!